Our florists composed this elegant wreath using branches of natural blue pine decorated with pretty bundles of twigs, gorgeous baubles in shades of copper, vibrant red and shimmering white and bows of cream ribbon. 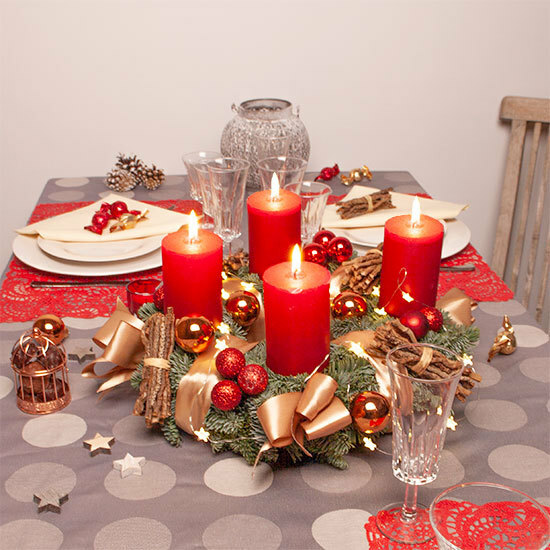 The finishing touch is added by four warm red candles. 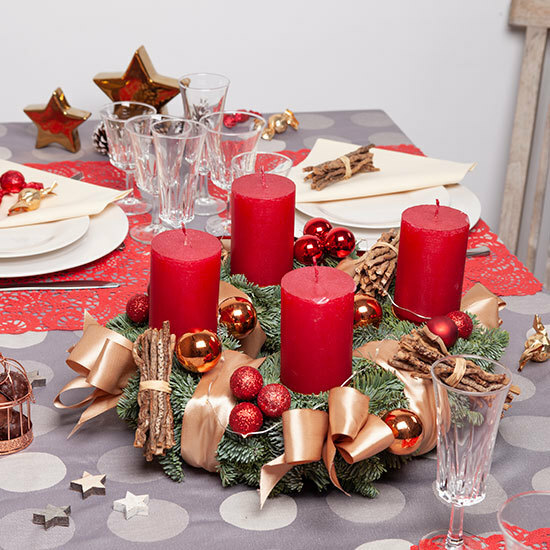 This Advent wreath will make a beautiful decoration for your home throughout the festive season. 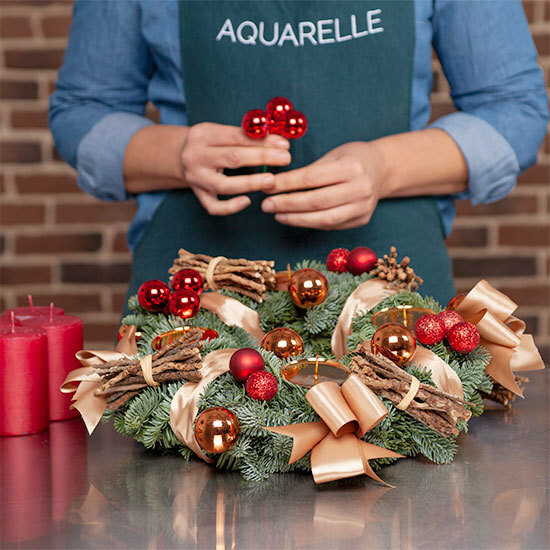 This wreath is composed of branches of ‘Nobilis’ fir and will be accompanied by 4 pretty candles. We recommend great care when burning the candles on the wreath. For safe use, please follow these simple rules, which will be included with the wreath. Attach the the candles securely to the wreath. Do not leave the candles burning unattended if you leave the room. Avoid letting the candle burn down completely. Do not move the candles while they are burning.